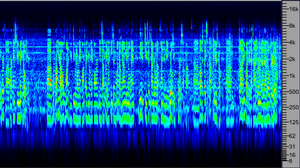 Used by professional engineers on millions of albums from Classical to Rock, archival and historical recordings, and by forensic scientists at worldwide law enforcement and clandestine surveillance agencies, NoNOISE 3 is now available for the first time as an Audio Units, VST, and AAX plug-in. 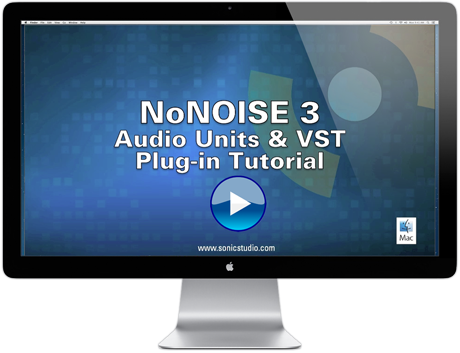 NoNOISE 3 works in any Intel Mac-based digital audio workstation software that supports either Audio Units, VST, and AAX AVID ProTools 10+ plug-in architecture. NoNOISE has been recognized with Grammy®, Emmy® and Oscar® awards as well as the Mix Technology Hall Of Fame. NoNOISE is absolutely the most impressive and pristine digital audio restoration software available. 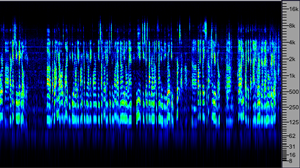 "More focused reduction is possible resulting in a more eased and gentler outcome that sonically appears much less processed than what was possible before. It struck me today at numerous times... how NoNOISE 3 really is a significantly better product. Not surprisingly, results are now generated much quicker than before." "Manual DeClick is totally amazing! And Sonic simply sounds great!" "I use Sonic Studio’s NoNoise II for the most demanding restoration and repair work." "...with the NoNoise II suite we can tackle anything clients bring in"
"DeCrackle cleaned up noticeably more noise while maintaining sonic integrity..."